The UK’s advertising watchdog used child ‘avatars’ to monitor gambling ads. The watchdog has found that five gambling companies, including Aston Villa’s sponsor Unibet and casino operator PlayOJO, have been breaking rules designed to prevent online gambling ads from targeting children. 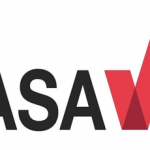 The Advertising Standards Authority (ASA), is tasked with monitoring UK ads. The ASA used a handful of child ‘avatars,’ or online accounts that simulate the way in which children use the internet, in order to learn about the type of ads children encounter when they are browsing the internet. According to a report by The Guardian, that during the ASA’s two week probe the authority saw ads from 43 different gambling operators. These ads appeared across numerous online sites, including dozens of children’s sites and Youtube channels. What was found during the probe? Of the over 40 gambling brands identified, the ASA picked out five high profile companies that were breaking the UK’s advertising laws. The firms in question are NetEnt, Redbet, Multilotto, Unibet and PlayOJO. In total, 23 gambling ads popped up 151 times at 11 children’s sites that were being monitored. NetEnt’s Viking video slot game made up nearly half of the ads (10) and was present 80% of the time that a gambling ad appeared. None of the code-breaking ads (from the five companies) appeared on YouTube channels. The logo of the Kindred Group. 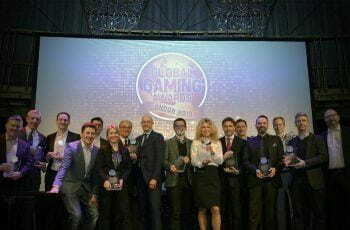 The biggest brand, caught by the ASA, was the Kindred Group’s Unibet. 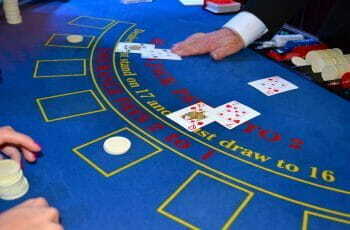 The Kindred Group runs a few high-profile gambling brands, such as Roxy Palace, 32Red and Bingo.com. The ASA said that Kindred and the other gambling companies admitted that rules had been broken, but were quick to deflect blame towards the third-party companies in charge of running the online advertising campaigns of the gambling firms. The Advertising Standards Authority announced its new advertising rules in February. The ASA determined that no advertisements may appear on any webpages, or in any games, that are popular with people under the legal gambling age. In addition, bookmakers and casino operators could no longer use prominent personalities or anyone who looks under 25 in gambling promotions. The biggest effect of the new advert regulations is that it prevents many well-known football players and social-media influencers from featuring in gambling advertisements. The new regulations came into effect this month, so it took less than a week for the ASA to already find companies in violation of the new UK advertising laws. However, because the study was most likely held during two weeks prior to the April rule change, the five operators will most likely just get a warning. Should the behaviour continue, they can face serious fines in the future. Earlier this year, The ASA forced Tombola to remove gambling ads that ran during ITV’s I’m a Celebrity…Get Me Out of Here, for breaking rules intended to protect children from betting. Childhood betting has become a problem recently after an audit from the UK Gambling Commission revealed that the number of problem gamblers aged 11-16 has risen by 50,000 over a two-year period. The study suggested that more underage children were likely to engage in illegal gambling than were expected to drink alcohol or take drugs. It is the concern caused by the rise in underage gambling, that has driven the ASA’s mission to create a world of adverts that aren’t harmful to children, even if that harm isn’t intentional.